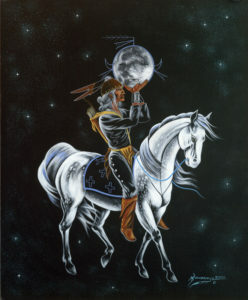 Navajo Skies – Planetarium Show: A full-dome, animated star show, which is also rendered for flat-screens. 40 minutes of Navajo Astronomy stories told in Navajo and English. 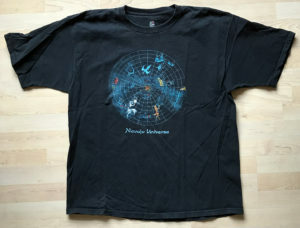 Dine (Navajo) Universe. 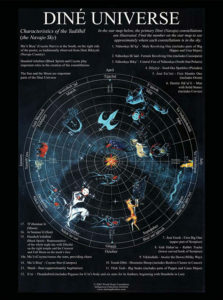 A full color poster of the Navajo sky with Navajo/English names and locations of Navajo constellations. 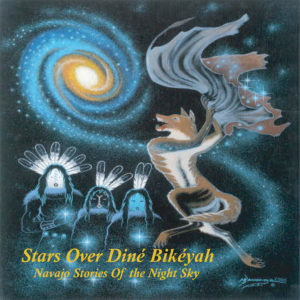 Stars Over Diné Bikéyah (Stars Over Navajoland): Winter Stories of the Navajo Constellations. A CD / MP3 of music and story, featuring the origins and values of the Navajo constellations, as told by elders to families in a traditional Hogan setting. 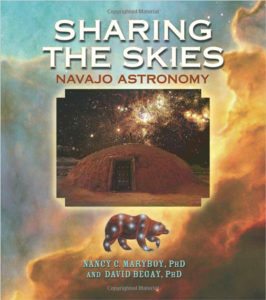 Sharing the Skies: Navajo Astronomy, A Cross-Cultural View, by Nancy C. Maryboy Ph.D. and David Begay, Ph.D. 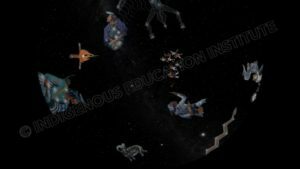 In this book you will find an introduction to the Navajo Universe, stories of the Navajo night skies, an introduction to Greek Astronomy, an introduction to space science, full color paintings of Navajo constellations images from the Hubble telescope and engaging education activities.